The Sector Public requires transformation! The Manifest of Rosario, signed on October 5, 2017 by the members of International Association of Public Transport (UITP) Latin America, in Argentina, proposes to the transportation community: CHANGE. And with this change, TRANSFORMATION must happen! The declaration, signed by Alain Flausch, the Deputy Secretary General of the Brussels based institution in that time, was presented during the 15th Latin America UITP Assembly and offered recommendations to Latin American countries to ensure the effective implementation of the Paris Agreement on Climate Change, for example, decarbonizing public transport. But as we have just learned the world is integrated, and words like empathy, sharing, active mobility, and collaborative economy are part of the society. We expect that the public transportation decision-makers, who are responsible for people’s daily commute, fit into this reality and transform their way of management by focusing their actions on the human being. The highlights of the Manifest of Rosario are promotion of active transportation, financial stability, fair business practices, data relevance, and technological innovation and digitalization. We must highly value and respect user opinion, too. It may seem obvious, but we are in a consumer-centric age – the public sector cannot be oblivious to this moment. Technology is our greatest tool to accomplish this challenge! The 1st Metropolitan Hackathon EMTU-Metra, conducted in March 2017 by Metropolitan Urban Transport Company (EMTU), confirmed our company was offering an innovative solution to the public sector. EMTU is controlled by the State Government of São Paulo and manages the urban metropolitan transport system. While I have seen many interesting projects during my five years at EMTU, I am thrilled to participate in this upcoming transformation in our urban transport. New ideas emerge every day and we are slowly introducing innovation into our company processes. Big wheels turn slowly – especially for a 40-year-old institution with well-established rules and processes. We are not making a fashion statement but dedicated and focused on improving urban transport. Simple innovations like IOT are here to stay. The company has 520 employees, manages urban transport system in the five metropolitan areas in the State of São Paulo, and is responsible for the daily transport of about 2.4 million people. Even though EMTU is small, it is influential at the same time. With process updates, EMTU can become more agile. Changing mentalities and behaviours is usually one of the most difficult actions in the innovation process. But, so what? It’s nice to have a challenge. Managing and updating the metropolitan transport system both require a lot of work and dedication. Can you imagine how difficult this is to do simultaneously? 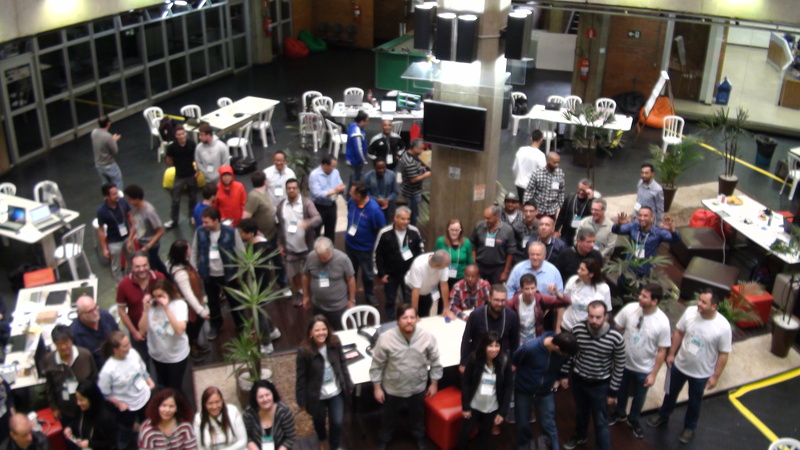 Further, we consider that Brazilian laws have to become more receptive to innovation. Well… We encounter many surprises and challenges with innovation. Audacity, persistence, and chance are always present. It’s necessary to be open-minded to new ideas, to create cooperative innovation policies, to emphasize horizontal management on a large scale. We must realize Open Data is a rule instead of an exception and provoke social and sectoral impact. Nowadays, knowledge is not restricted to academics, researchers or huge specialists. Knowledge is more accessible! Society acclaim precision, flexibility, and quality public services. They utilize precise information for decision making. At the previous Hackathon regulation, on July 3rd, 2017, we opened the ELAB – Experiments in Transports, an initiative of EMTU and Metra, with the marathon groups. 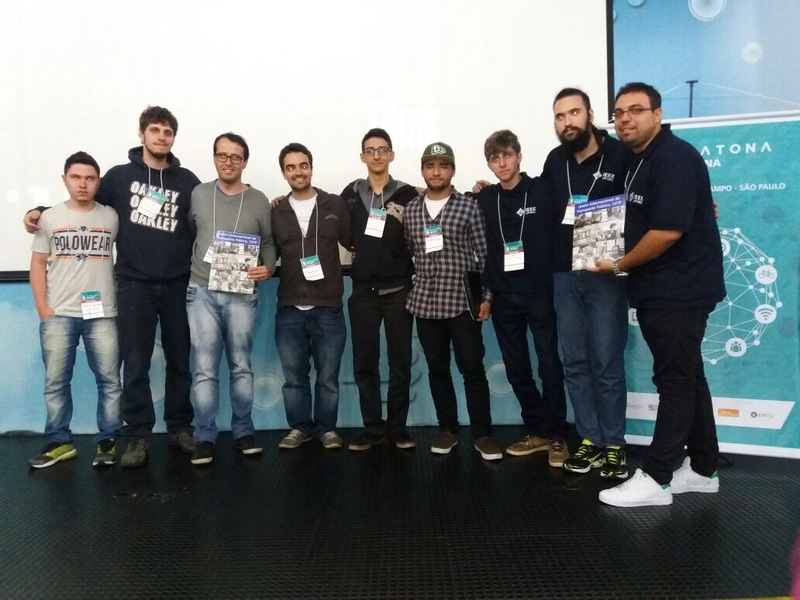 The project winner called INFURBANO, who is developing an app which will interface with our users. The Group FALA AÍ is developing a Chat room to create a networking relationship between passengers in the same vehicle while MILENIO BUS is developing a mobile payment system and an app that records boarding and disembarking data. In September 2017, Milenio Bus won Switzerland’s International Olympic of Technology and Innovation of Research Institute (IDIAP), using the same project which is developing in EMTU’s Laboratory. It has been testing this project in Metra’s vehicle, who is one of São Paulo’s many metropolitan operators. 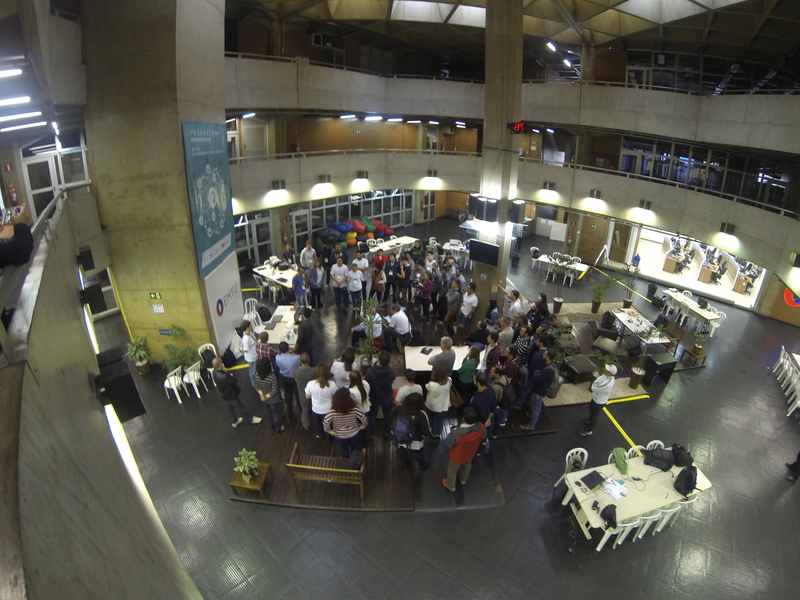 We really liked the experience of the Hackathon, so last September we supported the Marathon of Innovation and Technology of ISITEC (Higher Institute of Innovation and Technology). 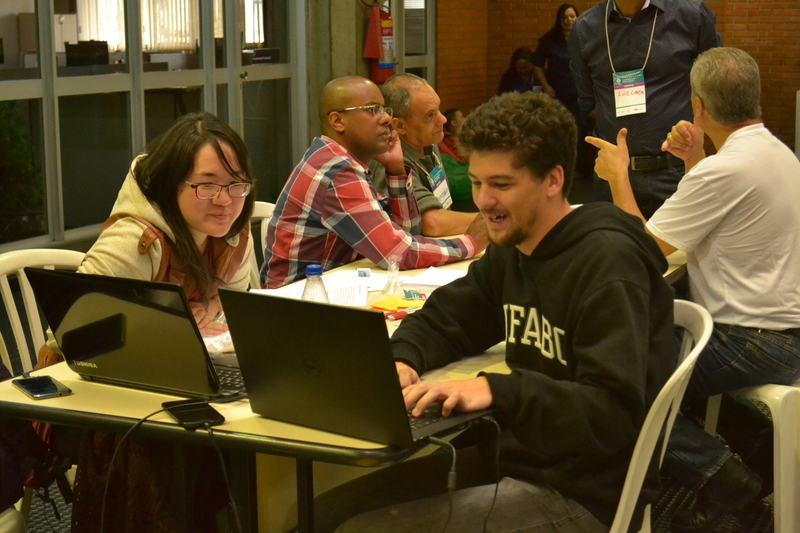 ISITEC is the first academic institution in Brazil to form Innovation Engineers. 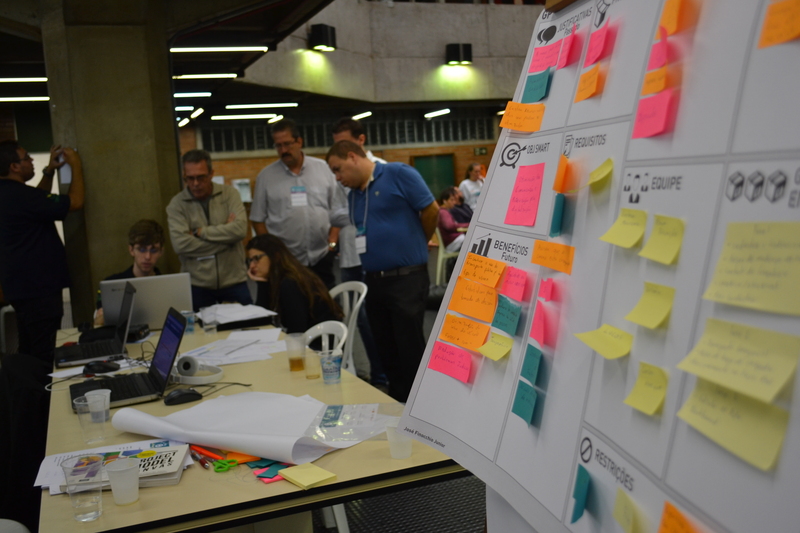 As a result, the ELAB received three teams: Group Hackafé, who integrates the data of validators of buses and theirs GPSs; Group SFEG , which calculates the proportional payment in real time from our bus lines sections; and Group CQV, which focuses on improving the environmental inspection of EMTU´s fleet. Only 3 months after Hackathon, the EMTU took a step forward and created the Centre of Partnerships and Innovation. As the Centre manager, I believe that the success of innovation depends on the level of employee engagement in the transformation process. Then, we created a Council of Innovation, which has 17 employee members from different departmental areas. This council creation is a preliminary action to encourage collaborative discussion. The 17 employee members are being trained in innovation. The public sector needs to change!!! That is a fact. But, there are significant challenges that we need to be addressed. Some challenges include finding the right balance between risk of innovation and maintaining a high level of service; transforming our minds to embrace new ideas; and realizing that power is not only held by huge corporations and governments but also lies in the hands of individuals. Also, behind the scene there are lots of technicians and engineers with a rigid mindset. So they have to position themselves to interact and to understand societal needs. The greatest challenge is being progressive while providing exceptional customer service. Signed the Manifest of Rosario, members of main companies of Public Transport in Latin America: Cutcsa (Uruguay); Metro of Buenos Aires e Authority of Rosario (Argentina), Authorothy of Colombia. From Brazil: Secretary of Transport of Natal (Rio Grande do Norte State), SPTrans (Sao Paulo City) e EMTU (São Paulo State), and the president of UITP Latin America, Jurandir Fernandes. I am very grateful to you, Ashley Chatham, for correcting my English. ← Mudança é a palavra!